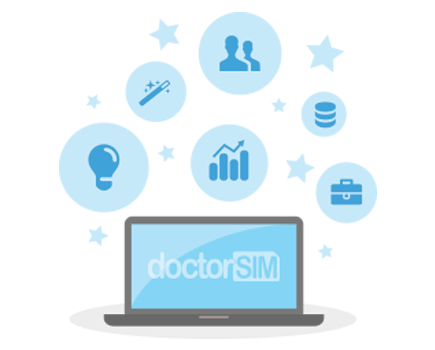 Have you tried to, or want to, unlock a Samsung with doctorSIM but are having problems? Unlocking your Samsung via IMEI is the fastest, easiest and safest way to be able to use your phone on any network, save on your monthly bill and increase its resale value. 1. - My Samsung doesn’t prompt for the unlock code when I insert a SIM card from a network provider different to the original. 2. - My Samsung is locked to T-Mobile or MetroPCS and does not prompt for the unlock code. 4. - I get an error message after typing the unlock code into the phone. 5. - I get the following message on my Samsung: Phone Freeze. 6. - My Samsung does not connect to the internet. 7. - I am prompted for a Regional Unlock Code. 8. - I'm not sure if I selected the correct original operator of my Samsung. 1. My Samsung doesn’t prompt for the unlock code when I insert a SIM card from a network provider different to the original. Verify that the phone prompts for the SIM card’s PIN. This number is a security measure your Samsung will normally request by default (if activated). Check the phone works with the new SIM card inserted. If so, your Samsung is unlocked. 2. My Samsung is locked to T-Mobile or MetroPCS and does not prompt for the unlock code. Check whether you have the application "Device Unlock" installed on the phone. Press the Settings icon on your Samsung, find Network operators and then select the Automatic option. If the phone doesn’t register on the network, change to Manual and select the network you want to connect to directly. Hardware failure. We recommend contacting Samsung’s technical support team for assistance as there could be an issue with the SIM card reader, the phone’s antenna or something else. Blacklists are updated regularly, however it is possible that very recent changes are not included in the report you receive. If your Samsung is blocked, you must contact the original operator to confirm if the IMEI number has been reported due to loss, theft or unpaid bill. 4. I get an error message after typing the unlock code into the phone. Occasionally, you will get an error message after typing in the unlock code however the phone has been successfully unlocked. Restart your phone and check that it doesn’t prompt for the unlock code again. Turn off the phone. With the phone off, press the Volume down, Home and Power on buttons all together for a few seconds. A warning message appears which you can remove by pressing the Volume up button. Information will be displayed on screen. We need you to send us a photograph of the information which appears in the top left-hand corner of the screen. To leave this screen, remove the battery or follow the steps above again to turn on the phone. NOTE: Your phone must have the original software as the process will not work if you have installed a modified ROM. 5. I get the following message on my Samsung: "Phone Freeze". Samsung phones have a maximum number of unlock attempts (ranging between 3 and 5 depending on the model) and when these attempts are exhausted, the phone will Freeze and will not accept the unlock code even if it is valid. A separate code known as a Defreeze Code is required to reset the unlock attempts counter. doctorSIM provides this code along with your unlock code and instructions. If the Phone Freeze message appears on your phone, just type the 8-digit Defreeze Code. The message will disappear and your Samsung will once again prompt for the network unlock code. 6. My Samsung does not connect to the internet. How to connect your Android phone to the internet. 7. I am prompted for a Regional Unlock Code. When you acquire a Samsung phone in another country, which is normally unlocked, but are prompted for an unlock code when you try to use it on the network of your choice in your country, you might need a Regional Unlock Code. To remove this restriction so your Samsung works properly in your country, make your request through our Regional Service. 8. I'm not sure if I selected the correct original operator of my Samsung. To successfully unlock your cell phone via IMEI it is necessary to indicate the correct network provider. If you think you may have selected the wrong network, verify this information by using our Samsung Original Operator Check. Select either "Original Country Unknown" or "Network Operator Unknown or Not in List" if you prefer not to use our IMEI phone check and are unsure to which network your Samsung is locked. NOTE: If we did not answer your questions or you have a different problem unlocking your Samsung, reply to the instructions e-mail we sent you including the message history with a detailed explanation of the problem you are having. In this way, we will be able to locate your request and assist you much quicker. If you didn’t make your request through doctorSIM, we recommend you click here to request an unlock code for your Samsung. It's the fastest, easiest and safest way of unlocking any Samsung.